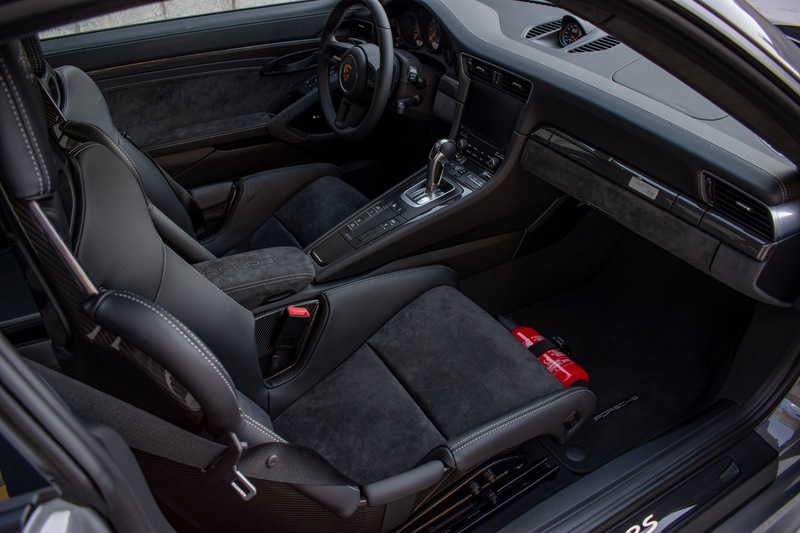 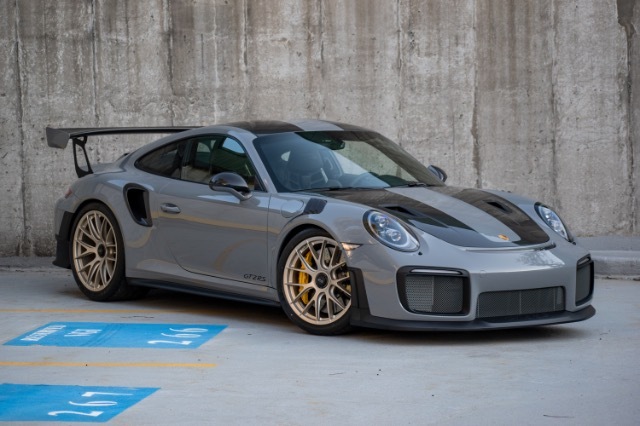 Now available at Carriage House Motor Cars is the new 2018 Porsche 911 GT2 RS. 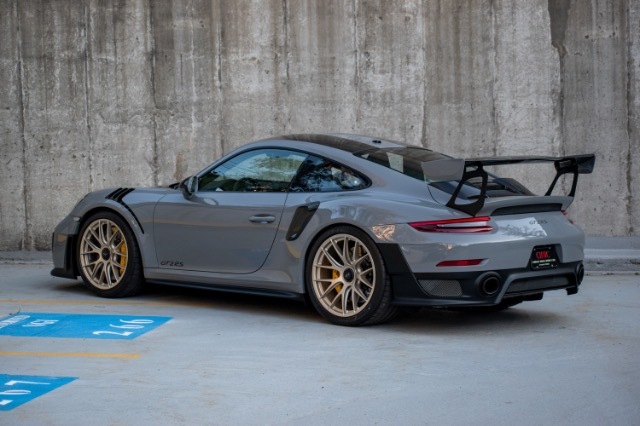 This example was highly optioned including Paint to Sample in Nardo Grey, the Weissach Package, Magnesium Wheels, Front Axle Lift and more. The Porsche GT2 RSs claim to fame was breaking the record lap time at the Nururgring racetrack and becoming the fastest production car on the planet. 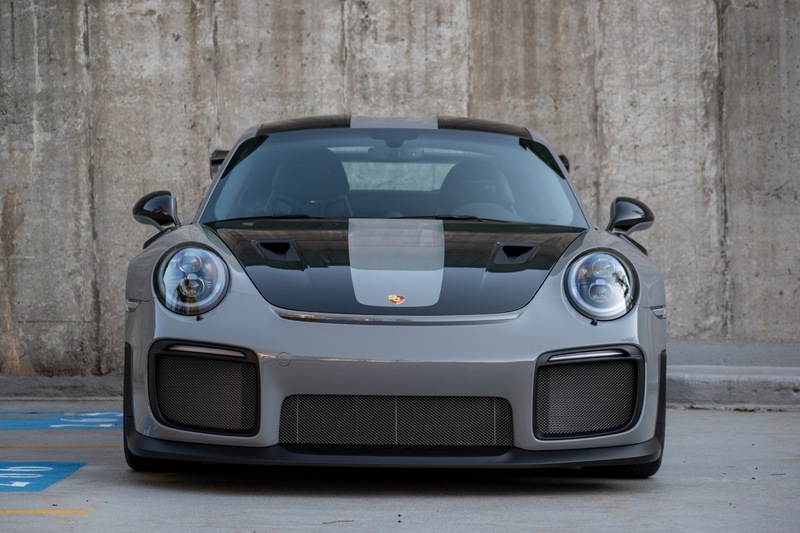 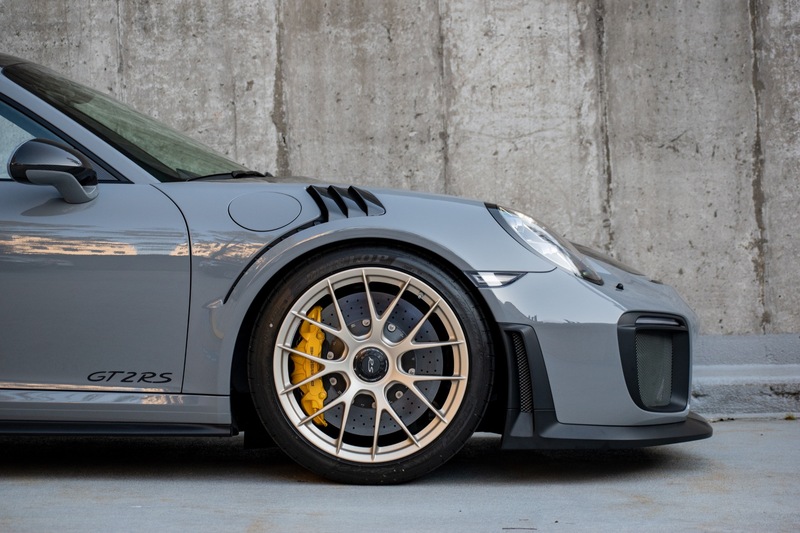 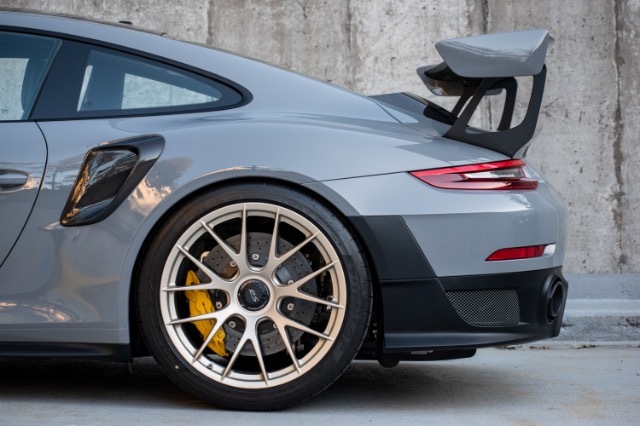 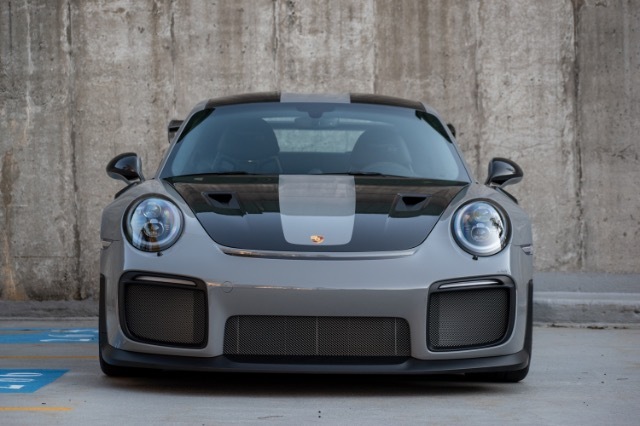 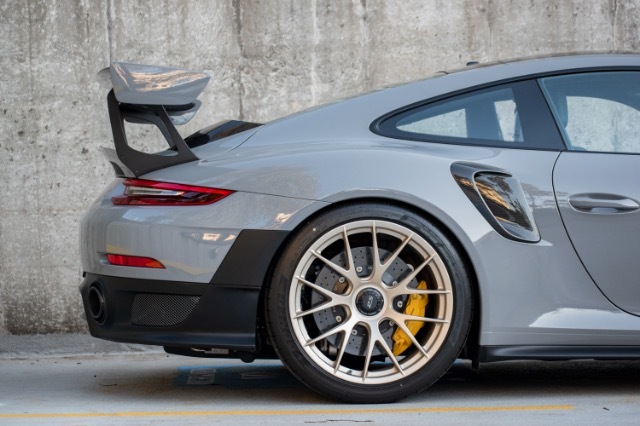 The GT2 RS sports a 3.8L Twin Turbo capable of 700HP and 553 ft lbs of torque. 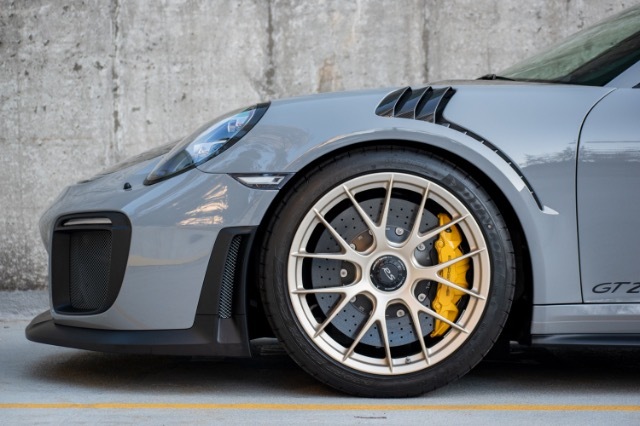 It can do 0-60 in 2.6 seconds and has a top speed of 211 mph. 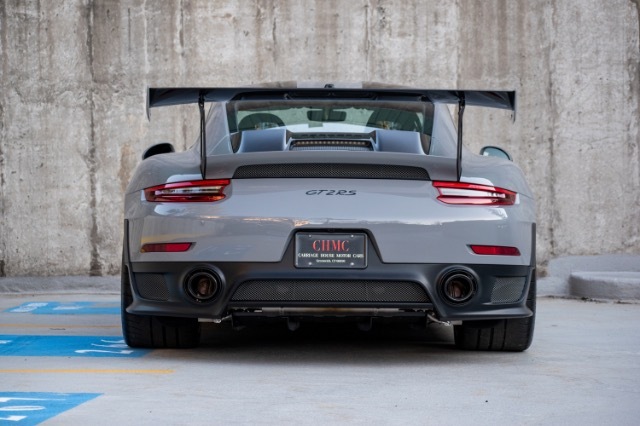 This example is offered with just 31 miles on the odometer.